It’s pretty common that if you ask about someone’s favorite food—something they’d be happy to eat every day forever—you’ll get a pretty basic answer. It’s likely a simple staple or nostalgic comfort food more likely to appear on a children’s menu than on an upscale omakase. (For proof, just look to the choices of death-row inmates who actually had to choose their final meal; things like pizza, steak, fried chicken, and French fries all made the cut.) With this in mind, it’s really not so surprising that while on a recent weeklong press trip to Bali (the struggle) where I was treated to authentic, luxe, colorful meals, my favorite dish was none other than benefits-laden (yet nonetheless basic) turmeric rice. I say this not to knock the awesome food I had on the trip, which introduced me to sambal sauce (my new favorite Sriracha alternative), and to so many varieties of tropical fruit that I’ll have to just dream about until the next time I’m in Southeast Asia. (See you on the REM side, mangosteen and snakefruit!) Rather, it’s because this rice was just. so. good. Which is great news for me—and you—because rice, unlike, say, snakefruit, is pretty simple to enjoy without needing travel across the world. I came to meet the grains of orange magic while taking a class at Four Seasons Jimbaran Bay’s Jala Cooking Academy. 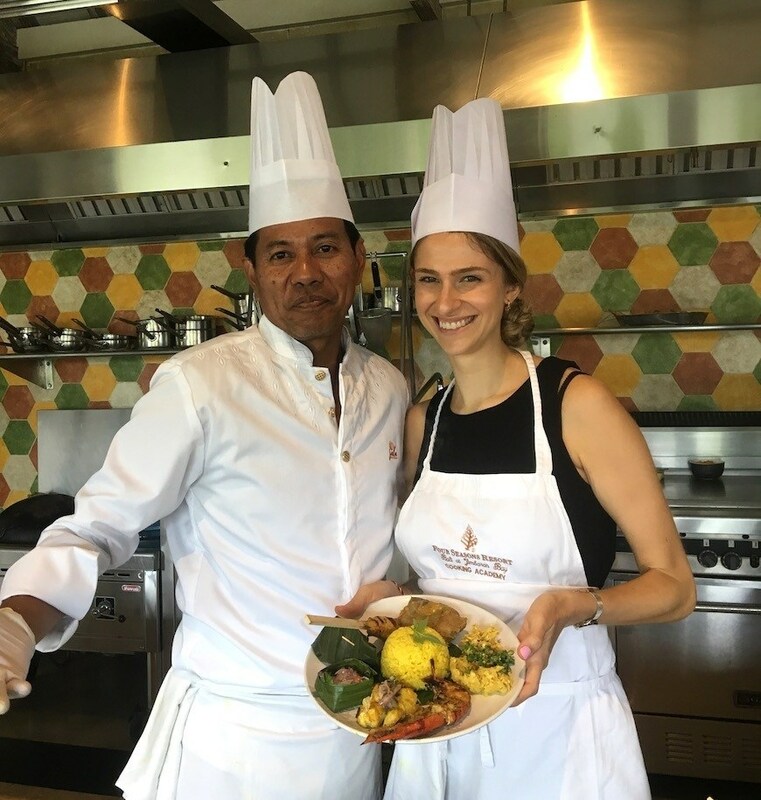 First up on the lesson plan, the resort’s head chef Kristya (Kris) Yudya taught us how to make his mother’s recipe for Indonesian yellow rice, a staple of Balinese meals. The recipe is a tad more involved than nuking a pouch of Uncle Ben’s, but it’s worth every extra second of effort. And since it’s now in the running for “food I’d be happy to eat every day forever,” I’m so happy Chef Kris and his mom agreed to share their family recipe. Meet the only turmeric rice recipe you’ll ever need, straight from a Balinese chef. Me with Chef Kris before eating every single grain of that turmeric rice. This simple recipe from Chef Kris has it all, IMO: antioxidant and anti-inflammatory turmeric, sweetness from the coconut milk, and some bite from the lemongrass and lime leaves. The Salam leaf is optional in the Americanized version of this recipe because it’s hard to find in the US—omit if you can’t find it at your international grocer, or use a curry leaf instead. 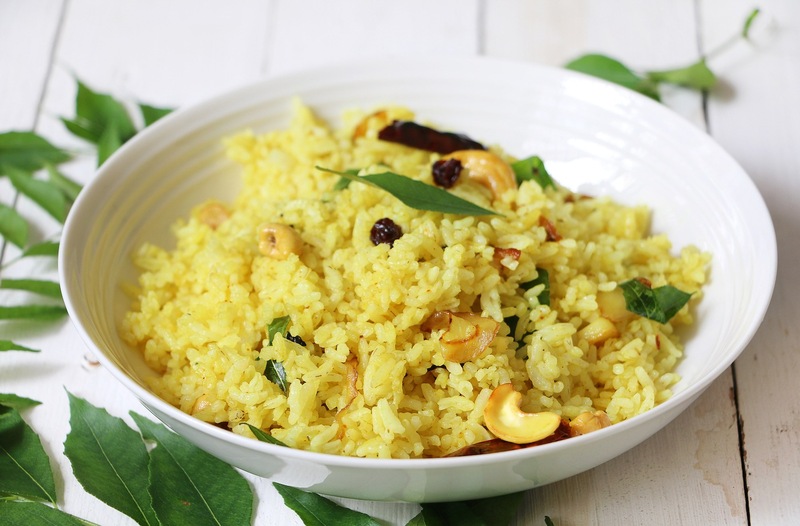 The original recipe also calls for Balinese rice, but again, that can be tricky to find here in the States, so Chef Kris says jasmine rice is a good substitute. Wash the rice before combining with water, turmeric juice, lemongrass, lime leaf, salam leaf (if using), coconut milk, and salt. If your OOTD was personally victimized by turmeric in the making of this recipe, no worries—here’s how to remove the stain. Plus, here’s how much of the ingredient you should really be taking.